The half-up ponytail is the classic 90s teen girl hairstyle that we all love. But, fortunately, not all 90s trends have gone out of fashion. This trend is very much there and it’s the hairstyle you do when you don’t want your hair bothering you by constantly flying into your face but you also want it to feel voluminous like it does when it’s open. This hairstyle is lets you achieve both. And it’s not just us, but even celebrities love the half-up ponytail! 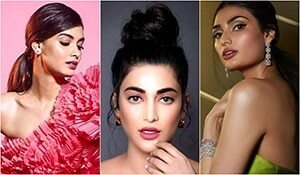 Let’s check out some of our favourite ones who are still keeping this trend strong and making it more and more famous! Simple and fuss-free! 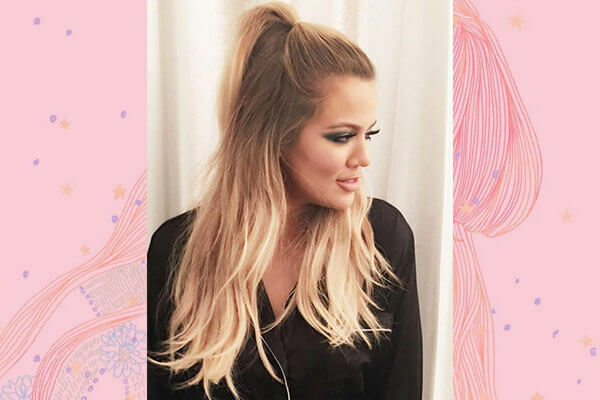 Khloe shows us how a gorgeous half-up high ponytail can create a statement without trying too hard! Take a small section of your crown and secure it with a hair tie a little above where you tie your usual ponytail, and you’re done! Alia Bhatt is a total cutie in this half-up ponytail which she has accessorized with an adorable bow. A girl is never too old for bows, y’know? This particular hairstyle is perfect if you’re looking to add a girly element to your look. We love it! The kween of ponytails Ariana Grande who is best known for her high ponytail can also slay the half-up ponytail equally! If you’ve seen Ariana’s hairstyles over the years, it’s evident that she prefers to wear her hair sleek rather than textured making it a huge trend for us to take inspiration from! This hairstyle looks gorgeous even on curly/wavy hair! Take cues from Rihanna into styling your wavy locks into a half-up high pony that’s voluminous and stunning. If you have straight hair, you can tease the hair a bit to create volume and also spray some volumizing spray to achieve this look! Zendaya sported a rather unique version of the half-up ponytail where she volumized the hair further by giving her half-up ponytail a lift by wrapping a chunk of her hair over the hair tie. We love the soft wavy hair ends too! 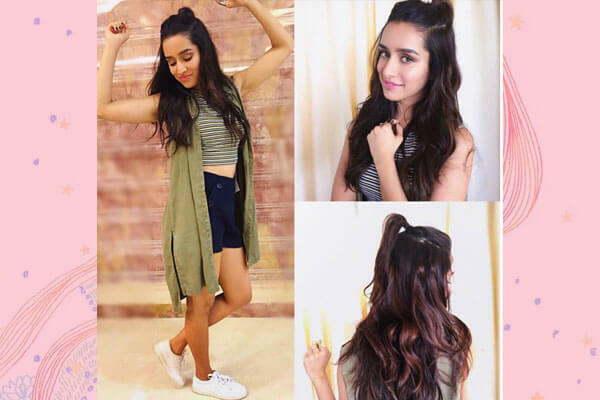 Shraddha Kapoor sported this half-up hairdo with a sporty chic outfit and it instantly gave her look an instant oomph! Her hair was coloured into a soft, melting caramel balayage which looks stunning with the hairstyle!